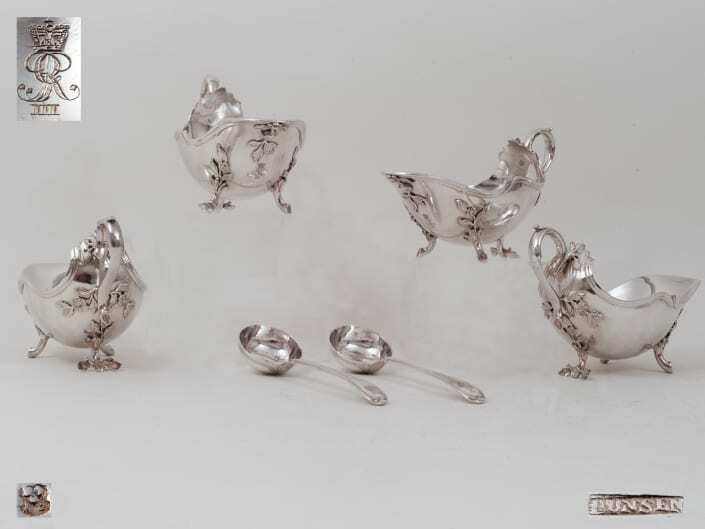 Antique silver sauce boats have been made since the Middle Ages; however, their shape was set around the beginning of the eighteenth century. A major role in the influence of the sauce boat, as well as the use of it has been the French court of Versailles. Sauce-boats were often made in pairs or in two pairs to serve warm sauces. These magnificent pairs of royal silver rococo sauce-boats are made by Franz Peter Bunsen for the "A" service of George III in Hanover. Made in Hanover 1766 and 1779. 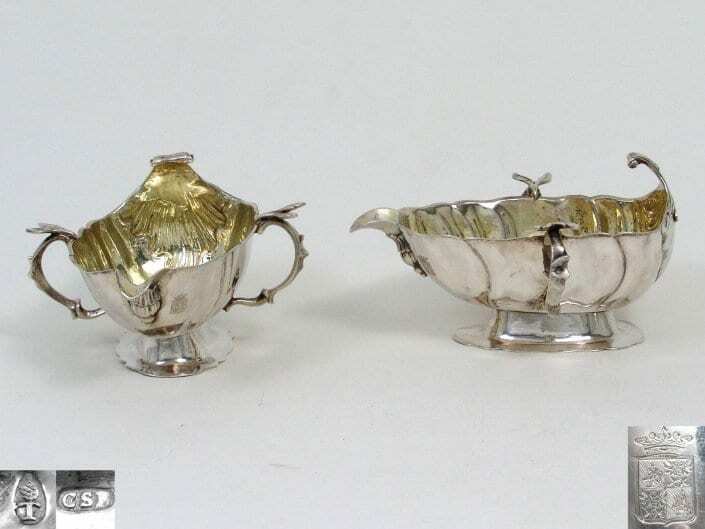 The present pair of silver sauceboats with Rococo decoration from the second half of the 18th century comes from Augsburg. It was made by Carl Samuel Bettkober. The coat of arms is that of von Coels (von der Brügghen).